Here you’ll find advice gained from first-hand experience of moving to Barcelona from the UK and of living in Spain. This is your Barcelona guide to living and working in the Catalan capital. A flat finding service for Barcelona and Catalonia. Aimed at people who need help to find a property for the medium to long-term. 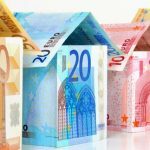 The service includes searching for property to rent and to buy, accompanied viewings, translating, negotiating and helping with paperwork. Long-term accommodation in Barcelona is usually for a term longer than six months, and a standard long-term rental contract lasts for three years. Here you’ll find some information about how and where to search for Barcelona accommodation. It’s easier to find work in Barcelona if you speak Spanish and/or Catalan. 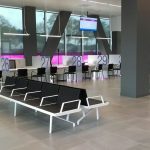 However, there are many international companies based in Barcelona, as well as small to medium-sized businesses set up by expats, which need employees who speak English. This article gives you 6 ways to find jobs in Barcelona. 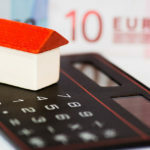 We source property for clients to buy in Barcelona. Whether you’d like to move to Barcelona to live, are looking for a holiday home, or want to invest in property. Flats and houses that are ready to move into, or property that needs partial or complete renovation. How to Rent in Barcelona is an ebook that explains the rental process in Barcelona. From how to find flats and arrange viewings, to making your reservation and explaining a standard Spanish rental contract. Learn what’s standard procedure and what’s not. 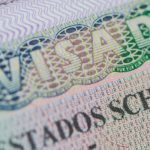 How to get your NIE (Número de Identificación de Extranjero), both resident and non-resident NIEs. You have to demonstrate that you have work or can support yourself financially. This article covers the whole process including the documentation you will need to demonstrate. 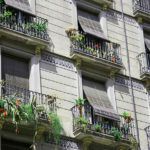 If you’re moving to Barcelona for work and need an apartment then you must use movingtobarcelona.com. I did, and it was the best decision I could have made. Once I gave Georgia my criteria she did ALL of the work – from finding suitable apartments, to viewings. She accompanied me to each one and even checked the contract of my chosen one. The really great thing is that she is impartial – she is there to advise – not to sell. Without her I would have been lost. She even helped with advice on bank and internet options. With her help and guidance I had a stress free move and am now settling into my new life. 100% the best decision I made.